Having to always have a snack/drink to hand. Heaven forbid your children don't eat for an hour. Making sure said snack/drink is healthy. Well most of the time! Always having to know where the nearest toilet is. Always making sure everyone uses the toilet before any journey. 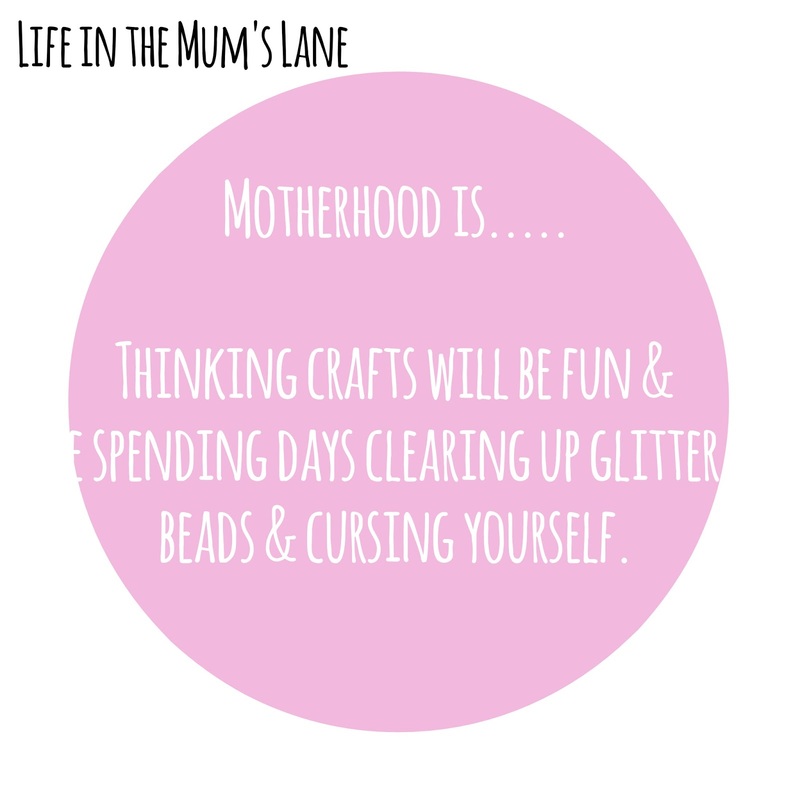 Thinking crafts will be fun & the spending days clearing up glitter & beads & cursing yourself. Failing to remember the last time you saw a film over a PG rating. Haha, thinking crafts will be fun! I fall for it every time, most recently a couple of days ago...children had fun, me...not so much! And the resulting glitter everywhere and guilt about when I'll finally cave and "file" the finished pieces into the recycling bin! !